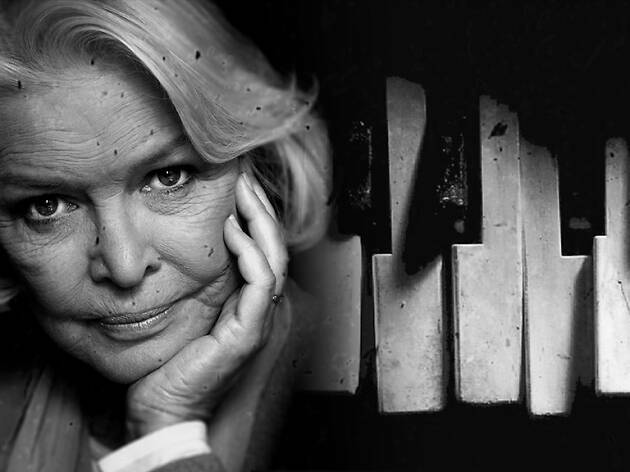 Oscar-winning actor Ellen Burstyn is about to land in Melbourne to start rehearsals for a new production of 33 Variations, in which she'll star alongside a cast of leading Australian actors, including Lisa McCune, William McInnes, Toby Truslove, Helen Morse and Francis Greenslade. But before she gets her theatre on – and she's a stellar theatre actor, having won a Tony Award – we asked her to look back through her film and TV career and share some key memories from her decades on screen. "I came in to audition for the part of Genevieve. After I read for that, I told them that I would like to play Lois, and so [director Peter Bogdanovich] had me read that part. Then he had me read the part of Ruth and said, 'Well we know you’re in the movie. Now we just have to figure out which part.'" "This is one of my favourite movies. The critics destroyed it when it was released. Twenty or maybe 25 years later, they started writing, 'Where did this film come from? This is a great movie. This needs to be seen.' Now it’s considered a classic. It’s some of Bruce Dern and Jack Nicholson’s best work, and one of Bob Rafelson’s best films." "I just saw The Exorcist again at a 45th anniversary screening at the Academy of Motion Picture Arts and Sciences, and I must say the picture really holds up. It’s not dated at all. I think it’s the only film of mine that’s in the Library of Congress – and deservedly so. It’s a classic." "This probably has more of me in it than any film that I’ve done. I was a single mother at the time and a lot of my relationship with my son is reflected in the film. Marty Scorsese was an unknown director when I chose him to direct the film (after asking The Godfather director Francis Ford Coppola for a recommendation), and it was probably one of the best choices I’ve ever made. He certainly turned into a master filmmaker." "This is the only film that I’ve ever made where I created the role on the stage first, and where I learned specifically the difference between stage technique and film technique. In the stage production, I was working with Charles Grodin, and in the film, Alan Alda – two divine actors that I loved equally." "This film is dear to my heart. I said a lot of things in that film that were important to me to be said about life and death and healing, both spiritually and physically. It didn’t get proper distribution or publicity when it was released, but it’s held on and many people tell me that it’s their favourite film. Especially people in the healing arts – doctors, nurses, chiropractors, massage therapists and acupuncturists." "The best part of this film for me was working with Anne Bancroft (The Graduate). It’s the only time we got to work together. And there was a woman director [Australian director Jocelyn Moorhouse], a rare thing at that time. It’s getting to be not so rare, thank goodness." "This is the most difficult film of all of them because of the weight changes and the prosthetics, to say nothing of all of the acting challenges. It took me an hour and half to get out of prosthetics at the end of shooting every day. But it was so wonderful to work with Darren Aronofsky, who I love. The film has had an enormous impact. I hear about it from strangers all over the world. It was unfortunate that it got a rating that made it difficult for young people to see it. I know parents who rented the film and brought it home for their kids, who weren’t allowed to watch it in the theatres, because it has a strong anti-drug message. It’s an important and masterful film. I was so happy when Darren asked me to be in another one of his films – The Fountain. He’s an unusual and brilliant filmmaker. And what a joy to work with Hugh Jackman." "I was only in this film a short time but it was thrilling to work with Christopher Nolan, who is such an imaginative artist. I’d love to work with him again, but next time, I want to be in outer space!" "It’s so much fun to play a character like this – cold and crazy – and to be directed by Robin Wright. It’s the first time I’ve played someone’s mother and been directed by them at the same time!" 33 Variations is at the Comedy Theatre from March 7. Check out the best theatre in Melbourne this month and our tips for scoring cheap tickets.